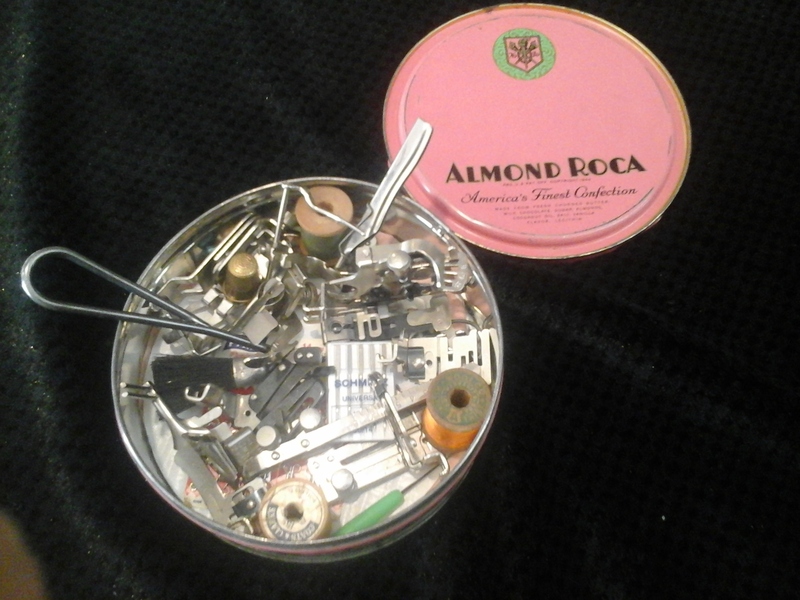 This gorgeous early-20th Century Almond Roca tin contains a generous array of attachments and accessories for your vintage Singer sewing machine. 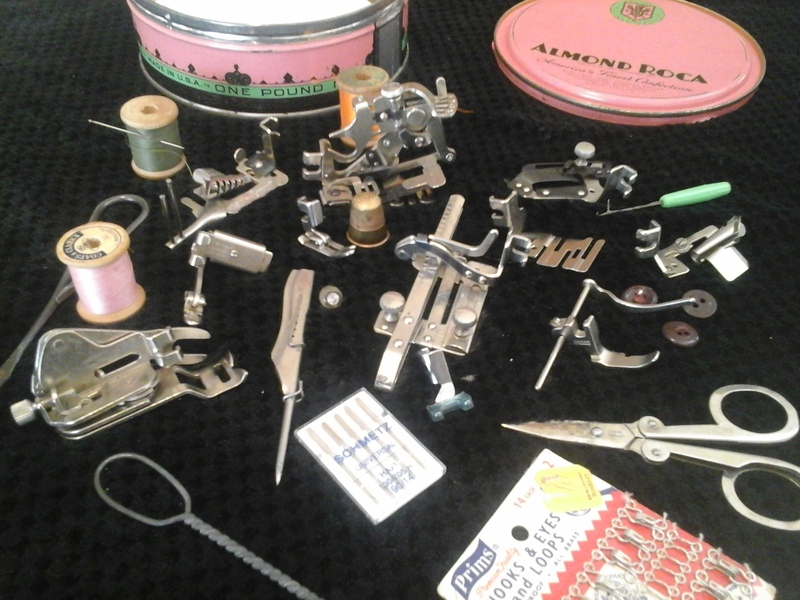 Most vintage Singer machines use the low-shank, vertical-needle, side-mounted feet shown in the photos below. That's why the feet on your Featherweight will work on your 201 and vice-versa. 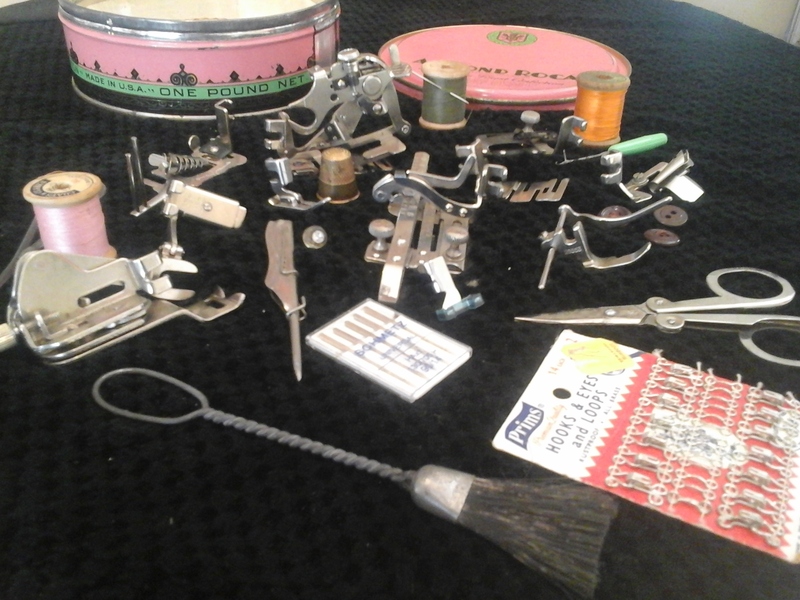 The back-mounted feet were only used briefly on the earlier machines and most of those have been changed out for side-mount attachments, so unless your early Singer is a Slant-Needle machine like the 401 or the 500, it probably uses these feet. 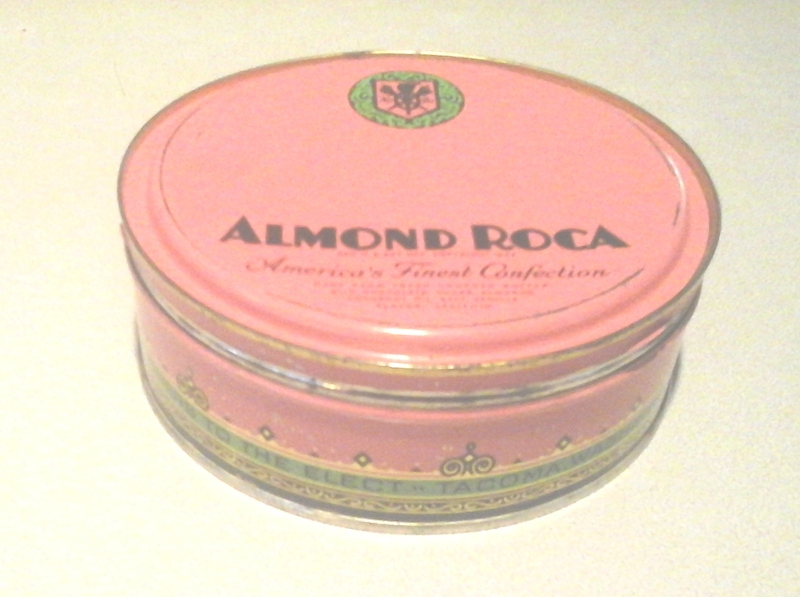 What a perfect gift for yourself or your dear friend.